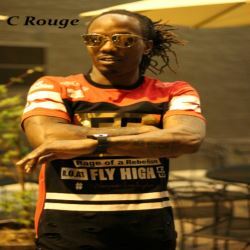 C Rouge is a southern east coast rapper from NC. His music versatilty is paving the way to auccessful endeavors. C Rouge has dynamic stage presence and showmanship. C Rouge's music is a basis from the settings he grew up and lived in, thus giving his music a direct and effective approach. The release of his freshman CD "Iont Know Sleep" has spread like wildfire from show buyouts and street credit! Destined to be a force in the industry, C Rouge is definitely one to watch!